Vouchers are available at 5:30 p.m. for the John Waters Book Signing starting at 7:30 p.m. Please join us for an in-depth conversation with artist and legendary filmmaker John Waters to discuss the work featured in his new exhibition John Waters: Indecent Exposure with Senior Curator Kristen Hileman. Hear more about the artist’s provocative use of humor to subvert mainstream attitudes and expectations, and his strategies for appropriating and manipulating images, including his own self-portraits and pictures of individuals from films. Seating for this ticketed event is first come, first served. Early arrival is recommended. We anticipate that this event will be at maximum capacity. 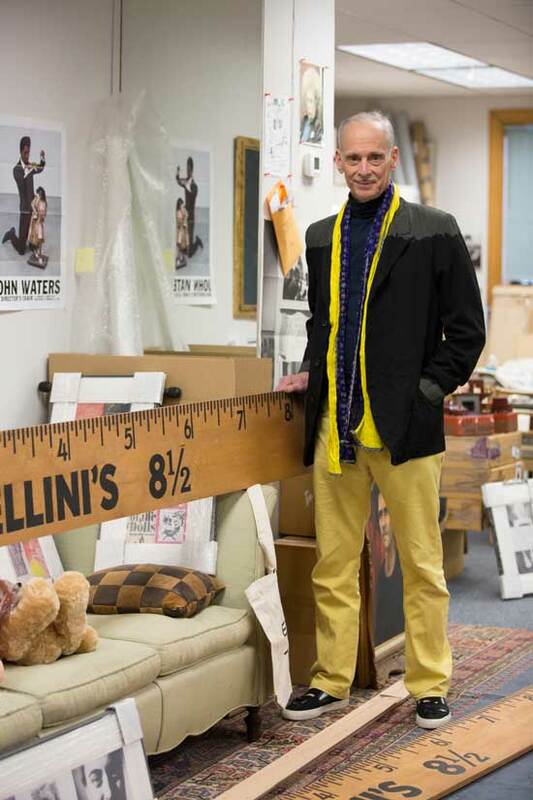 Please join us for an in-depth conversation with artist and legendary filmmaker John Waters to discuss the work featured in his new exhibition John Waters: Indecent Exposure with Senior Curator Kristen Hileman.